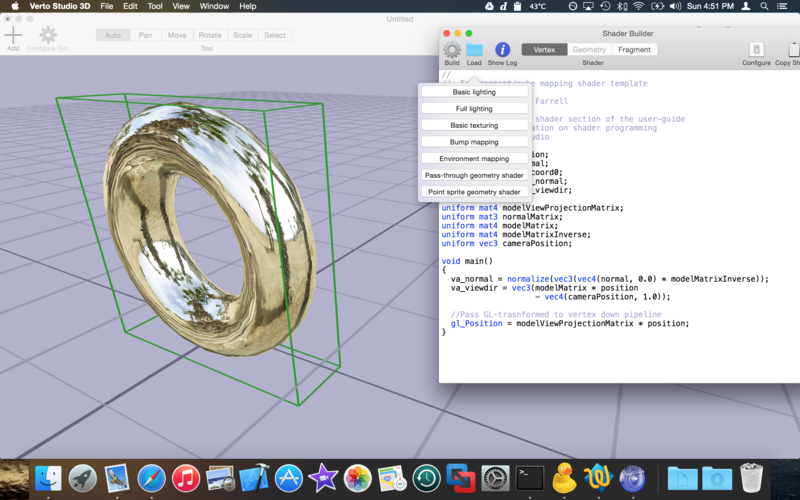 Verto Studio 3D for desktop extends the easy modeling experience to the workstation. 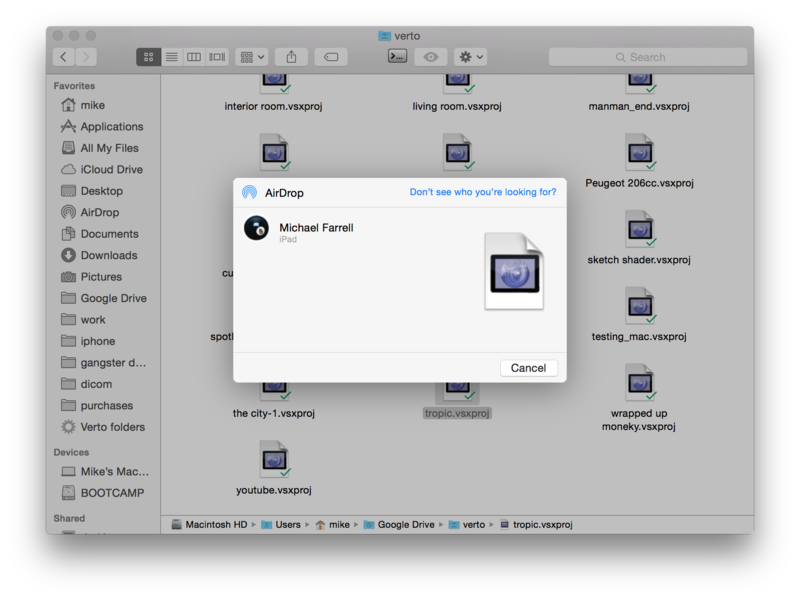 Fully compatable with the mobile version, files can be shared via-air drop between your Mac and your iOS devices to accelerate the pace of your work and drastically increase the mobility of your 3D content. Verto Studio 3D for Desktop supports many file formats including OBJ, STL, Collada (.dae), Direct-X (.x), and more! With so many supported 3D file formats, Verto Studio 3D can serve as an integral part of your 3D conversion pipeline, starting on the desktop and leading all the way to mobile or publication on the web! To open a 3D file with Verto Studio, simply drag its icon into the Verto Studio icon on the doc. 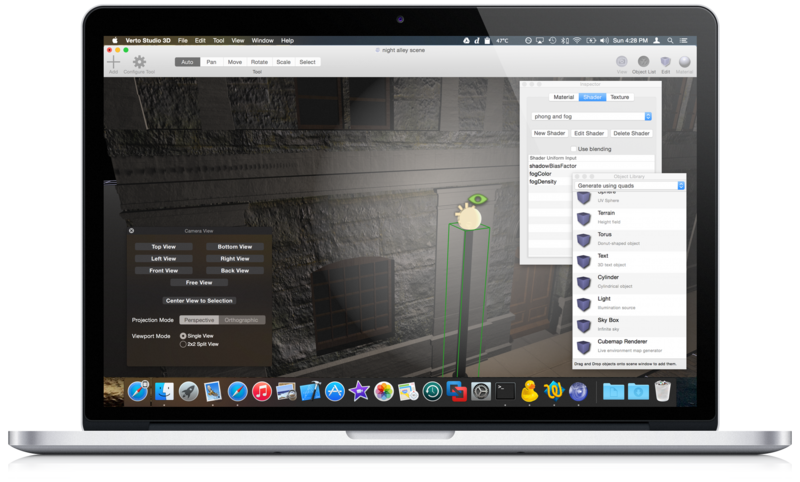 Verto Studio 3D is a powerful tool for game developers, featuring a built-in shader editor complete with templates to get you started. Also included is a powerful multipass render pipeline editor containing post-processing shader effects such as bloom blur, add, screen and more. Finalized Verto Studio scene files can be loaded live into the modern C++ Verto Studio graphics engine which is available upon request. Learn More. Those of us who have attempted to export and convert models and scenes to production systems understand the pain and frustration associated with doing such tasks.